How much effort would you say you put into cleaning the house? Maybe an hour or two a week? Be honest, though. Do you really take the time to do a thorough job? The sad reality is that what you’re currently doing just isn’t enough to maintain a spotless home. That’s where A Step Above Cleaning Services can help. 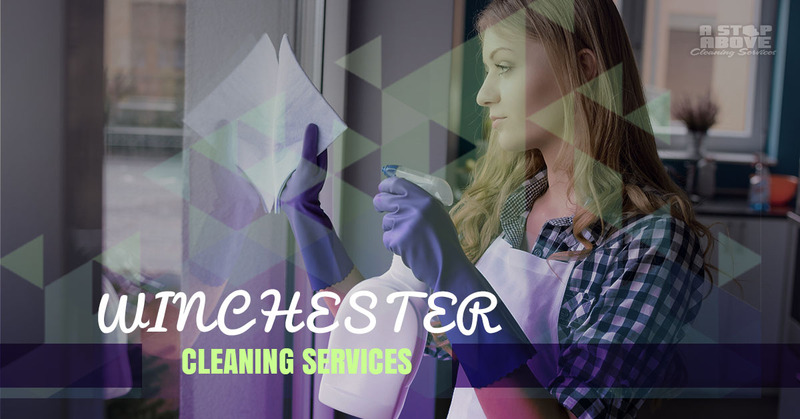 We provide quality, professional carpet cleaning, upholstery cleaning, tile and grout cleaning, upholstery cleaning, and pressure washing for residents in Winchester. As a family owned and operated business, we strive to earn your business. How do we do that? Well, we pride ourselves on prompt service, affordable prices, and dedication to customer satisfaction. Our cleaning company understands that your home is a significant investment, which is why we approach each job in a meticulous fashion. Rest assured that we will never rush through a job just to get to our next appointment. Our fully trained, certified technicians pay close attention to detail in every aspect of our cleaning services. Plus, if you aren’t satisfied for any reason, we will return to re-clean the concerned area at no charge. When was the last time you really looked at your carpet? While regular vacuuming can somewhat maintain the overall look, only a professional deep cleaning can restore those carpets to an improved state. Our team uses the most innovative carpet cleaning equipment and environmentally safe products to remove the toughest dirt and debris. It could be that dust, dirt, allergens, pollutant, fleas, and dust mites wreak havoc on your carpets on a regular basis. Thanks to our steam cleaning solution, we can have them looking, feeling, and smelling their best in no time. For your convenience, we offer three different cleaning levels. Each includes pre-conditioning, spot treatment, scrubbing, and deodorizing. A Step Above is proud to offer both residential carpet cleaning and commercial carpet cleaning.